Job Title: BMS Commissioning Engineer Location: Central London Salary: £35k - £45k basic plus great benefits The Opportunity Bluefire Consulting are recruiting for a BMS Commissioning Engineer to work for a large energy management company based at their client's site in Central London. The organisation believe in providing an excellent service for their customers and reward hard work with increased development and progression opportunities. 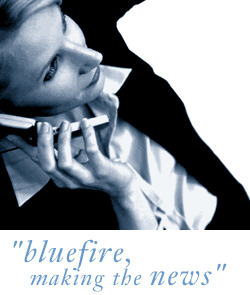 Bluefire Consulting are recruiting for a BMS Commissioning Engineer to work for a large energy management company based at their client's site in Central London. The organisation believe in providing an excellent service for their customers and reward hard work with increased development and progression opportunities. As a successful BMS Commissioning Engineer you will be responsible for carrying out scheduled projects and reactive maintenance at one site for a highly-respected organisation. This role will be working a continental shift pattern.